A bronze 3D Shamrock mounted in a quality frame. 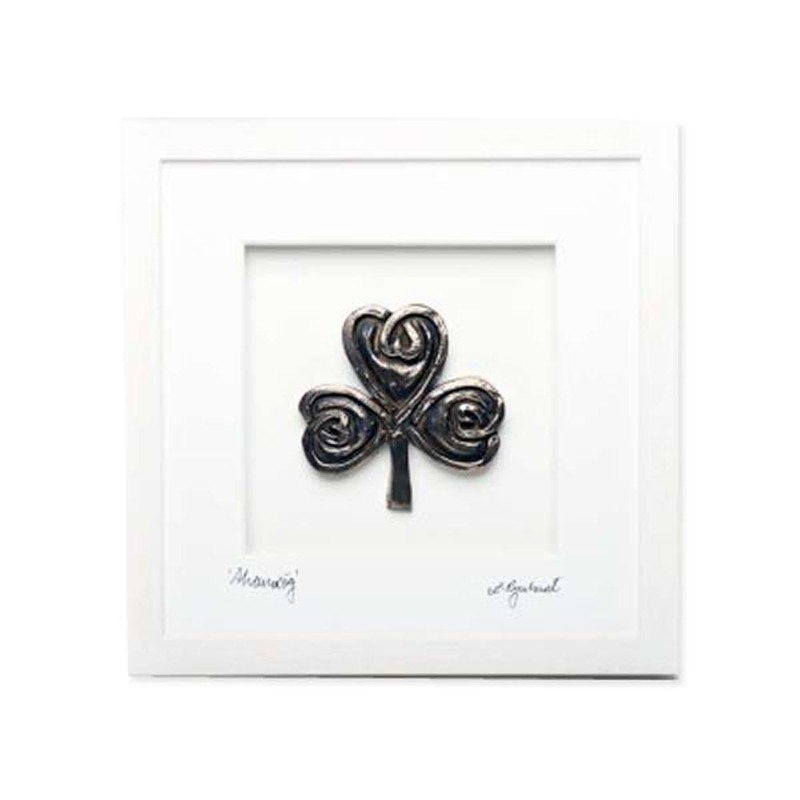 Entitled ‘Shamróg‘ and signed by the artist, A. Rynart. A Celtic style Shamrock made of bronze to wish your loved ones some Irish good luck. 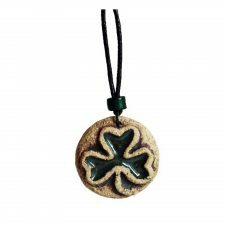 The three leaves of the Shamrock were used by St. Patrick to explain the Holy Trinity to the Pagans of Ireland. 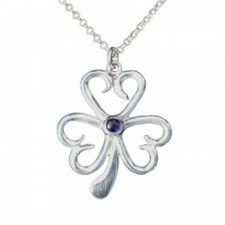 The Shamrock has become the most reconigsed symbol of Ireland. 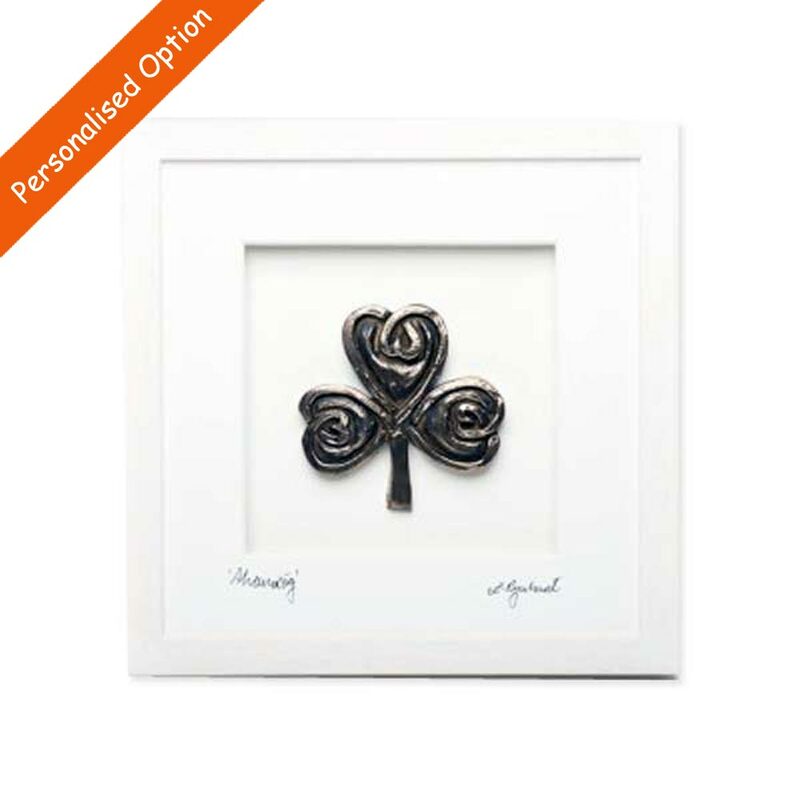 Mounted in a white frame, 8.5 inches x 8.5 inches x 1 inch (215 mm x 215 mm x 25 mm). Beautiful handcrafted bronze 3D Shamrock wall art entitled ‘Shamróg‘, mounted in a quality frame. 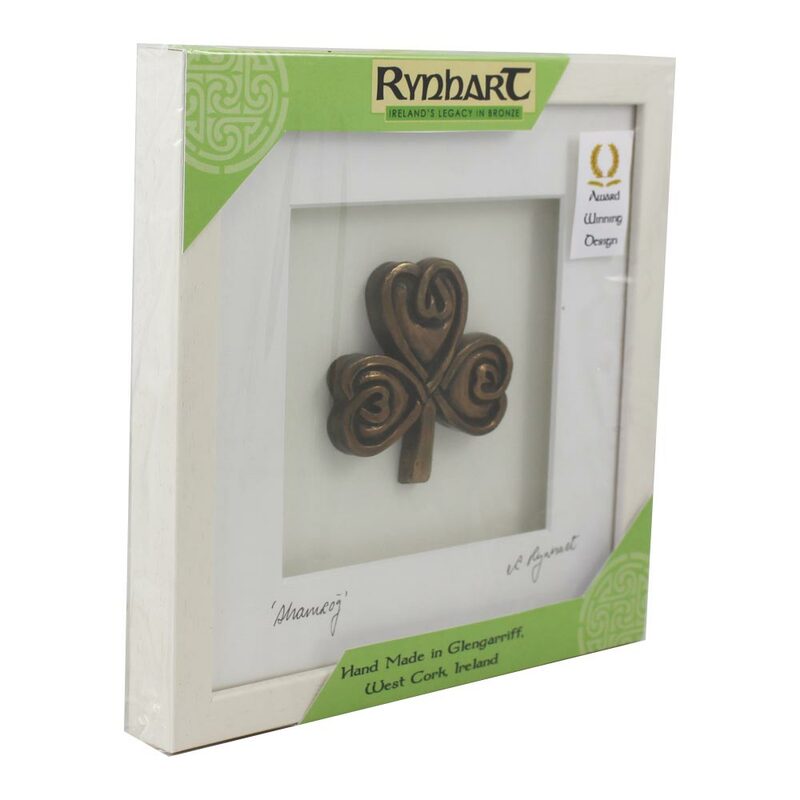 Authentic Irish gifts by Rynhart, award winning design. A beauitiful piece of Irish Wall Art, handmade in Glengarriff, West Cork, Ireland.